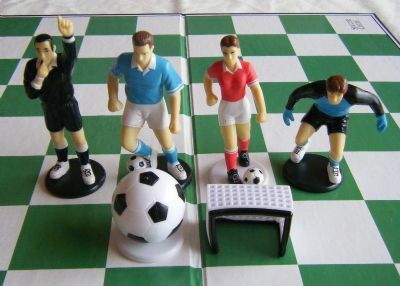 One of a number of chess sets that feature footballing figures. This is simply a representative set for the genre. Big clear shot of the game - simple. 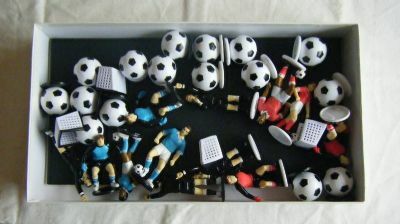 Nice big colourful pieces moulded in soft plastic. 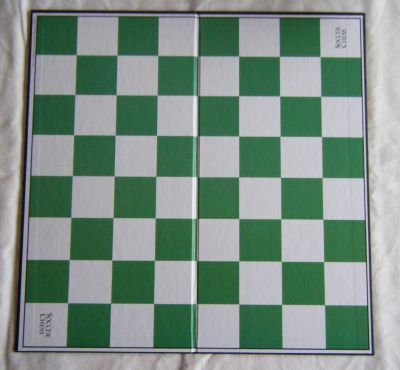 A chess board - what else! 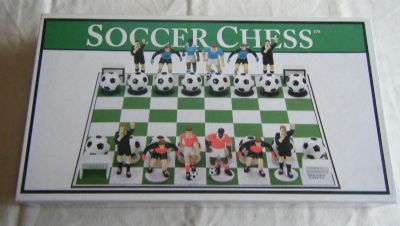 Must be really hard to remember which piece is which during the game.